Flown within the last 6 years? "Claiming for a delayed flight is as simple as completing an online form then letting us do the rest." Whether you’re flying for business or for pleasure, delays in your travel plans can be costly in more ways than one. You could be eligible for flight delay compensation to help you offset unexpected expenses that may arise as a result. We can help you to receive the compensation you deserve for delays to your schedule, and it's as simple as providing us with some basic details. Simply complete our online form to see how much you can claim. Airlines intentionally overbook flights because they are counting on a certain number of cancellations. When those cancellations do not occur, it leaves them with no choice but to bump certain passengers. If you are one of the unfortunate individuals who are bumped, you could ultimately wind up waiting several hours for the next flight out. When bumped from a non-stop flight, your arrival could easily be delayed by a day or more if the flight you are put on happens to have one or more stops. Being wrongly placed on a “no fly” list when travelling to or from the U.S.
Just because your flight leaves on time does not mean you are not subject to a delay. Many times, flights are re-routed to another airport after takeoff, leaving passengers scrambling to reach their correct destination. This most often happens due to sudden changes in the weather or equipment malfunctions that force an emergency landing. Security concerns at certain airports can also force air traffic controllers to reroute aeroplanes. You could be eligible for up to £500 per incident, depending on the length of your flight. Why Choose Our No-Win No-Fee Service? First, make a note of the date of your delayed flight (within the last 6 years). Next, Identify the airline on which you travelled and the flight number if known (it's not necessary). Then, compile personal details of everyone that travelled with you during the delay (must be paid seats). Finally, decide if you would like to pursue the claim direct through the airline or via a claim solicitor. To claim your delayed flight compensation, you must generally consult with the airline where travel was delayed. This is often a very lengthy and cumbersome process, particularly if there are several other passengers who also need to make claims. Another way to obtain a delayed flight refund is to use our free service to assist you in filing your claim. All it takes is just a few minutes of your time to fill out the form you see at the top of the page. We’ll take care of haggling with the airline companies so that all you will have to do is collect your cheque. We’ve successfully earned refunds for hundreds of customers, and do not earn anything unless your flight delay claims are approved. So what are extraordinary circumstances? Industrial action such as strikes by ground staff (baggage handlers etc.) and/or air traffic controllers. Adverse weather such as heavy rain, snow storms, volcanic ash cloud etc. If you believe your delay was as a direct result of one of these reasons then you might not be entitled to claim for compensation. In these cases it is still worth getting in touch so we can discover the true cause of the delay and determine whether you have a case to pursue. We realise there might be a number of questions you would like answers to before you start your claim for delayed flight compensation so have answered some of the more common questions below. To speak to an expert and get an instant decision as to whether you have a valid claim then simply apply online with our short form at the top of this page. How long is a claim valid for? Though the 261/2004 regulation doesn't specify a time limit on just how far back claims can be made for delayed flights, the statue of limitations law in the UK is 6 years so claims within this time period are usually only considered. If nearing the end of the six period, care should be taken to ensure proceedings don't push the claim over the limit. I can't remember how long my delay was? If you're not sure how long your scheduled flight was delayed for then there's a website that may be of use which archives such statistics called Flightstats. It's worth noting that not all flights are listed, the cause of any delays isn't documented and the site data itself can't be used as evidence in a claim. Though this is still a very useful resource, simply completing our form and letting us do the research is a far easier option. The duration from start to finish of your claim will vary according to a number of factors. Different airlines process flight delay claims at different speeds, additional research needed on your behalf may take a short while longer and once a claim is successful there will be a period of 1 - 6 weeks before the compensation is released. 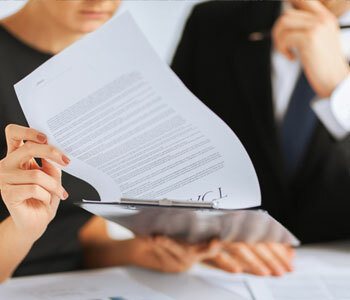 It is in the interest of all parties that your claim is settled as quickly as possible. There is a set scale of compensation allocated according to the length of the delay experienced and the distance of your delayed flight. The range available is from £200 to over £500 per passenger depending on the conversion rate at the time of settlement. To see how much you might be entitled to simply complete the form at the top of this page. My airline offered me nothing. What now? If you have tried to start a claim yourself then there is the chance that the airline will not offer you any compensation for your delayed flight. It is advised in this instance to get in touch via our online form to let professional flight compensation solicitors see if you have a case. With years of experience in all types of claim for delayed flights then there is a far higher likelihood of making a successful claim. I was diverted to another airport, can I still claim? The key point to consider here is whether or not you arrived at your final destination late (more than three hours). For instance if your flight was diverted and landed at a different airport, then you had to take alternative arrangements to arrive at your chosen destination resulting in a delay then you should be eligible for a claim. I ended up on another airline, can I claim? No matter which airline you eventually end up flying with, if you arrive at your intended destination more than 3 hours late then you are entitled to make a claim against the airline of the original flight you intended to take. So if your chosen airline cannot meet it's obligation to get you to your destination and you have to rely on another, providing your delay is over 3 hours you can put in a claim. I accepted a different flight, can I claim? Yes, providing that you land at your destination more than 3 hours late. You are eligible to make a claim against your original airline. Remember you are claiming for any delay which causes you to arrive at your destination late. To find out more about claiming for your delayed flight simply complete our simple form above. Are claims for infants & children valid? A claim can be made for anyone that travels with a paid for ticket even if they didn't have their own seat. You don't even have to be the person who paid for the ticket and it doesn't need to be a full price ticket. If your child or infant travelled for free then a claim cannot be made. I didn’t pay for my ticket, can I claim? Any claim awarded for a delayed flight is to compensate the affected passenger not the person who purchased the ticket, so yes you can make a claim. Unfortunately this doesn't apply if you travelled free of charge. If I claimed myself, how much would it cost? If you decide to make a claim for your delayed flight yourself then you can expect to pay at least £300. Expenses will vary depending on the number of passengers you are trying to claim compensation for, the court fees, the questionnaire fees and the hearing fees. It's why so many people choose to use a no-win no-fee service such as the one we provide. Will my compensation be cash or vouchers? If you make a successful claim then you will be compensated in cash (cheque). There are cases of airlines trying to provide compensation in airline vouchers however these have been overturned and each time a cash amount has been provided in accordance with the claim amount guide. What is EU 261/2004? Does it Apply? The European Commission Regulation 261/2004 is a law based around flight delay compensation claims. It went into effect on 17/02/2005 when it became binding in every EU Member State. It outlines common rules on the exact entitlements of airline passengers who experience a delay in their chosen flight. It is also applicable to airline passengers who have their flights cancelled, are denied boarding or have their seat downgraded. It's introduction was to provide adequate compensation for passengers inconvenienced by delayed flights outside of their control. All claims are made in accordance this regulation. You can download EU 261/2004 for reference, or find out more about EU261/2004 on the Wikipedia page. Which? Consumer Rights Flight Delay Information - Flight claim information from the respected Which website. Citizens Advice on Delayed Flights - Official information from the Citizens Advice website on delayed flights. Money Saving Expert Claim Advice - Martin Lewis explains more about claiming for delayed flights. If you have been inconvenienced by a delayed flight which resulted in you being late on arrival then why not get in touch today, you could receive compensation to make up for the disruption to your schedule.